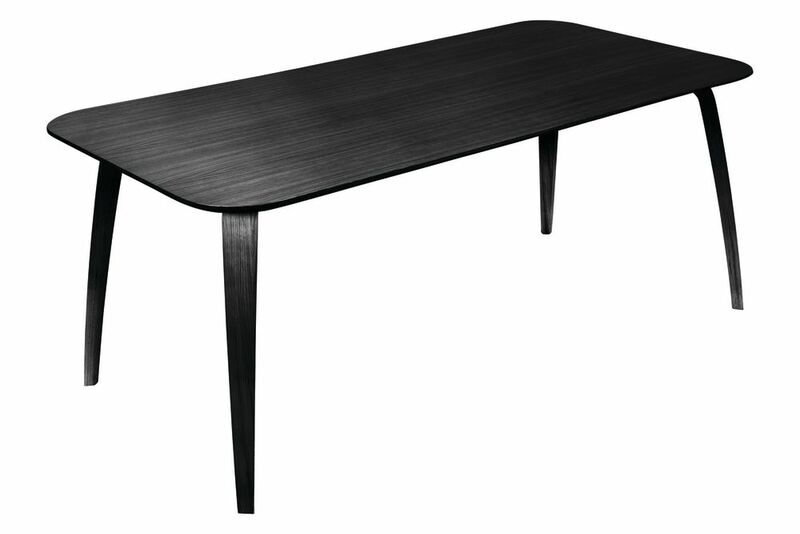 The Gubi Dinning table is designed by Komplot Design. The base is laminated wooden legs in walnut nature, oak nature or in black stained beech. The table tops are in wallnut nature, oak nature and black stained beech. These table tops are matched with the wooden base in the same type of veneer.